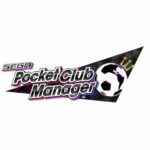 Konami’s PES Club Manager is an in-depth soccer management game which is available for iOS and Android mobile platforms, with more than 5,000 actual players whom you can train and countless strategies you can employ as you guide your team to victory. The matches run on a 3D engine, and you can change your tactics in real-time, allowing you to make changes on the fly. And you’ll be up against some of the world’s most popular and successful soccer teams, including those from Europe and South America. 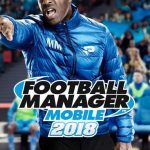 We can’t say it’s as immersive or in-depth as Football Manager or similar management games, but for mobile, it’s pretty darn good. And now, we’ve compiled a list of PES Club Manager cheats, hints and tricks for putting together and managing a championship team. 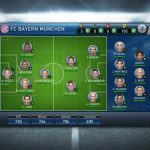 Take a look at your roster and take into account your strongest position (defender, midfielder, attacker) when choosing a formation. And speaking of skills, you wouldn’t want to play anybody out of position – if you, for instance, play someone like Lionel Messi as a defender, that’ll result in a skill penalty. You want all your players at their stronger position to ensure they play at their best. If you’d rather let your team do its thing, then you can switch everything to the middle, meaning the passive/aggressive balance when it comes to your team’s play style, and the balance between attack and defense. Play at a slow pace – 1x would be fine if you want to micromanage your squad, while 3x would be useful if you’d rather not sit through one whole match. Assuming you’ve got a talented player who’s buried on the bench because there are others at the position higher-rated than him, then you can train them to play another position. 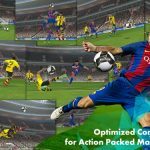 Aside from that, you can also train players for attack, defense, or sprinting skills, for instance, and train your goalkeepers as well. If you’ve got some holes at certain positions, you can try to fill them up by purchasing a player in the transfer market. Likewise, you can resolve logjams and sell players you don’t need. Take everything into account and choose the players you can sell for more GP than the amount you had paid for them. This would usually happen when a player’s popularity has rapidly increased – hold on if that happens and you’ll be getting more GP than what you paid for originally. PES Coins are the game’s premium currency, and keeping that in mind, you don’t want to spend those coins on something that will only have a temporary effect. Instead, these coins are best spent in the scouting area so you can get rare and more talented players. However, you will have to come to terms with the player on a contract, and that may mean offering a slightly higher salary than what you’re currently planning.